A leading figure in the Scottish Police Federation has claimed the repeal of the Offensive Behaviour at Football Act (OBFA) is partly to blame for the rise in disorder at Scottish matches. SPF vice-chairman David Hamilton has also pointed to the behaviour of players during Sunday’s Old Firm clash between Celtic and Rangers at Celtic Park as a catalyst for what he said was the worst fan behaviour “in 15-20 years” but also believes the decision to overturn the legislation, which took place nearly 12 months ago, has also played a part in the problem escalating. Scotland’s clubs were also in the firing line over stewarding issues. The OBFA was introduced by former Justice Secretary Kenny MacAskill, and passed by MSPs by 64 votes to 57. It received Royal Assent in January 2012, but the Scottish Government faced calls for an early review into the Act, and a group called Fans Against Criminalisation (FAC) was set up to campaign against the legislation. 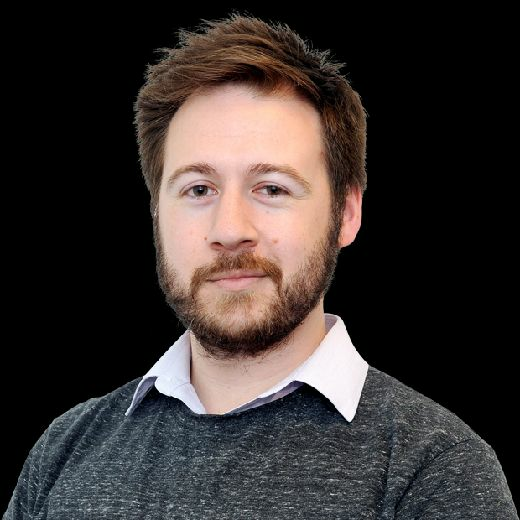 A bid to repeal it was started by Labour’s James Kelly in 2017, and the Act was overturned in April 2018. Mr Hamilton said: “It’s despairing, the way some fans are behaving in Scottish football. We are seeing an escalation in violence, both in terms of severity and frequency. Mr Hamilton revealed that a police horse had recently been retired due to injuries it received while on duty at a football match, while an officer working at Celtic Park on Sunday had a flash-bang thrown at him that “just missed his head”. The SPF No.2 believes the clubs are partly at fault. “I think back to the 1980s when Terry Butcher, Frank McAvennie and Graham Roberts ended up in court for inciting the crowd,” he said. “Obviously that conviction didn’t go anywhere but it’s not far from where we are just now in terms of behaviour. Fans take the lead from the players. “Players have a responsibility but most important of all, the clubs have a responsibility. They need to set the standards. “The whole game needs to set a standard. Is it acceptable to behave this way? Of course it’s not. “We’re seeing a lack of stewarding; very, very few numbers dealing with some of the most difficult people - somebody said they’re only getting the minimum wage. Well, pay them more then, and get better quality stewarding. “It’s not a police issue to deal with this. We’re part of the solution. We will support stewarding but the clubs need to deal with it. Mr Hamilton also criticised teams for not upgrading their CCTV systems, singling Hibs out for praise after the Easter Road side improved their facilities after two incidents at matches. But he accused clubs of helping fans to escape identification, adding: “People are hiding behind banners and flags, some of which are being stored in the stadiums by the clubs. It’s absolutely extraordinary. And he was scathing over suggestions alcohol could be reintroduced to Scottish football, branding the idea “hare-brained”. He added: “If any nightclub or bar allowed their clientele to behave in the way that some football fans behave they would be closed down. There was this hare-brained idea to reintroduce alcohol to football grounds. During Sunday’s game, some home supporters entered the field of play to celebrate Odsonne Edouard’s opening goal. One steward sustained leg injuries as she attempted to halt the incursion, while flares were also used by fans. Mr Hamilton said that player behaviour on Sunday had been “unacceptable”, adding: “It winds the crowd up and perhaps people take a lead from that”. Rangers pair Alfredo Morelos and Andy Halliday were red-carded for clashing with Celtic captain Scott Brown, whose celebrations in front of the visiting fans at full time sparked a confrontation with Halliday and a large melee involving players and officials from both teams. In the hours after the match, a spate of related incidents in Glasgow city centre and East Kilbride took place. A 47-year-old Celtic fan is currently fighting for his life after being stabbed in the neck during a fight between rivals supporters in the Merchant City on Sunday evening. Police are treating the incident as attempted murder. Officers confirmed two other men were also stabbed in “serious assaults” on the same day. In a separate incident, a 24-year-old man was arrested and charged with assault and carrying a knife, after a flashpoint in East Kilbride’s Maxwell Drive saw another man assaulted. In Coatbridge, nine people were arrested and released without charge after a “large-scale disturbance” at a pub, while an unconfirmed number of people were also arrested in nearby Kirkwood. Justice Secretary Humza Yousaf has refused to rule out legislating for strict liability, which would see clubs held responsible for the behaviour of supporters. 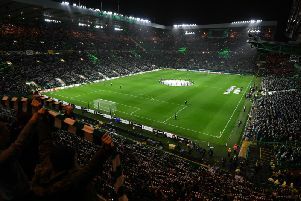 UEFA already operates strict liability in the Europa League and Champions League competitions, with Celtic, Hibs and Rangers all fined by European football’s governing body over fan disorder in the last 12 months alone. SNP MSP for Glasgow West James Dornan is leading a drive to bring in strict liability, and believes events at Sunday’s match have strengthened his bid.